How Do Virtual Currencies Fit Into Your Estate Plan? 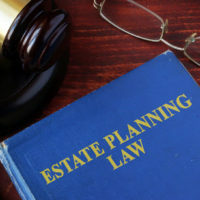 Estate planning is more than just writing up a will. It is important to take account of what assets you own and ensure the personal representative and beneficiaries named in your will be able to access and enjoy those assets after you die. This is not difficult when it comes to most types of property. But in our increasingly digital world, we have become more reliant on intangible methods of storing value. This can pose unique estate planning challenges. For instance, many Florida residents are active participants in the “virtual currency” market. Bitcoin is perhaps the most famous of the virtual currencies, which are also referred to as “crypto-currency.” Whatever the identifier or brand name, the underlying technical concepts are essentially the same. Basically, Bitcoin and its competitors use a complex mathematical algorithm to generate a limited amount of virtual currency units. Individuals then trade these units through a common public ledger called a “blockchain.” Every transaction is visible to every user. This means the system is also decentralized–there is no bank or government backing a virtual currency. Although Bitcoin and its proponents maintain these are currencies no different than U.S. dollars, that is not how the government sees it. Bitcoin is not legal tender. Instead, according to a 2014 IRS ruling, all virtual currency is “treated as property” for tax purposes. So what does this mean for the owners of Bitcoin and other virtual currencies when it comes to estate planning? First, make sure the personal representative or your estate (or the trustee of your revocable trust) knows that you have assets stored in virtual currency. The majority of people are still unfamiliar with how Bitcoin works. Unlike a traditional bank account, there is nobody they can call to get account information. Instead of account numbers, Bitcoin users have addresses associated with particular transactions recorded on the blockchain. Most users have more than one address; multiple addresses are stored in a “wallet” that can be accessed using a computer program. The wallet program relies on a private key that functions much like a PIN number. Without this private key, there is no way to access or distribute the virtual currency associated with the waller or any of its related addresses. It is therefore a good idea to keep a hard copy of any private keys in a secure location together with your other estate planning papers so your executor can easily locate it. Remember, there is no central bank that can provide access to a lost key. However, some virtual currency users do rely on third-party service providers to keep their Bitcoin. While these institutions are not legally banks, they may be able to provide access to a deceased user’s account. In addition, you need to be aware of Florida’s Prudent Investor Act (Florida Statutes, Chapter 518, Section 11). This law requires a fiduciary, such as a personal representative or trustee, to “invest or manage” assets under their care “as a prudent investor would.” Virtual currencies are notoriously volatile and subject to sudden spikes or declines in practice. The Prudent Investor Act may compel your estate or trust to liquidate your Bitcoins after your death and move them into “safer” investments like mutual funds. But the Prudent Investor Act also permits you to override its terms by including appropriate language in your will or trust. Technology often outpaces the legal system’s ability to cope. This is why you need to work with a skilled Fort Myers estate planning and probate attorney who can advise you on how evolving regulation may affect the ultimate disposition of your digital assets. Contact the Kuhn Law Firm, P.A., at 239-333-4529 to schedule a free confidential consultation today.